Amazing Grace shows Newport off at its picture-perfect best. The one-hour scenic cruise offers close-up views of the lighthouses, America’s Cup yachts, grand estates and so much more. Choose from indoor or outdoor seating on two spacious decks with spectacular views. Then relax with a snack or beverage from our full-service bar. *Schedule and prices are subject to change without notice. A minimum of 10 people is required for sailing. 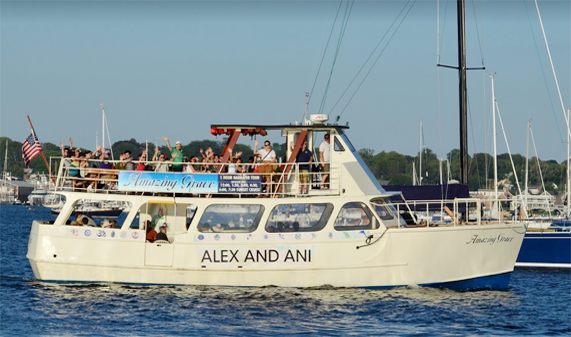 Have questions about our one-hour narrated harbor tours or private charters contact us today! OR CALL TO BOOK TOUR TODAY!